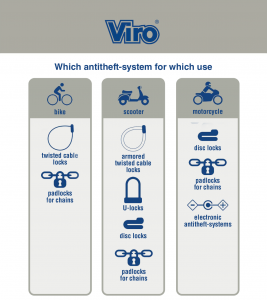 Motorcycles, bicycles and scooters – which anti-theft device to use? 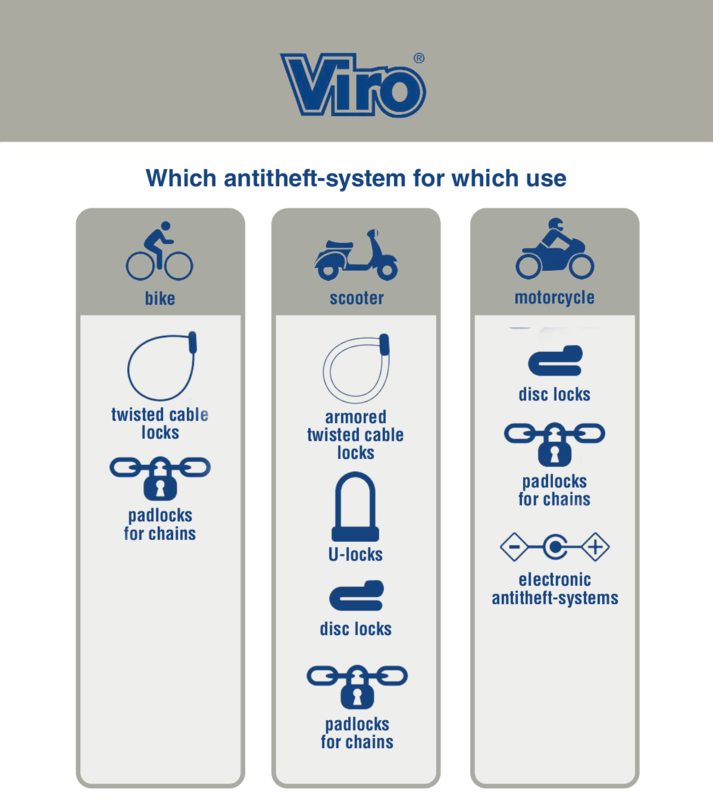 During recent months we have often spoken about the pros and cons of the various types of anti-theft devices for two-wheeled vehicles: disc locks, chains with padlocks, armoured cables, twisted cables, U-locks and electronic devices. 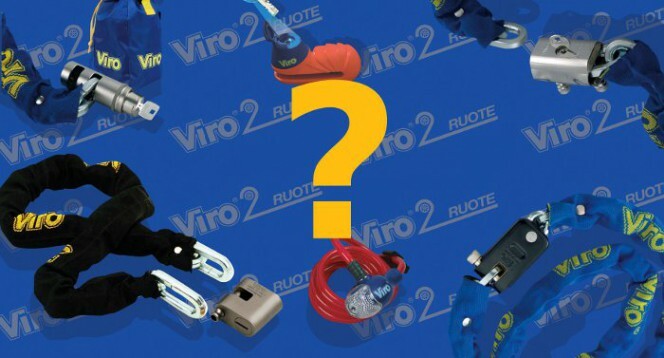 But, in short, which anti-theft device should be chosen for a particular application? This week we are providing a convenient summarising table to help you choose. Of course, this is only a rough indication for guidance purposes, and nothing prohibits you, for example, from protecting a bike with armoured cables or U-locks (but their poor flexibility can be a problem). However, use is definitely not recommended for a motorcycle, especially a top of the range one, of products designed for bicycles and scooters, as the protection offered would be inadequate. This entry was posted in Motorbikes and Bicycles and tagged tips on 29 June 2015 by Mara Rossi.